Every kid I know loves paletas—and every mom I know wants to reduce the amount of sugar in their kids’ diet. With summer upon us, I’m already seeing watermelon everywhere in the farmers markets and grocery stores. 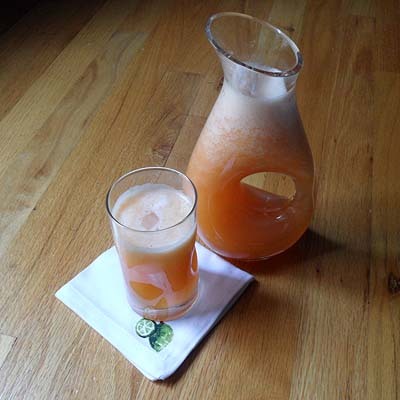 I love watermelon and would eat it for three meals a day if I could, so I’ve been getting more creative with how to use it. 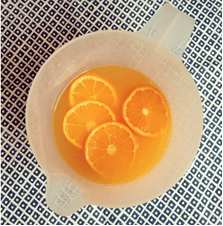 These are especially great on a really hot day! 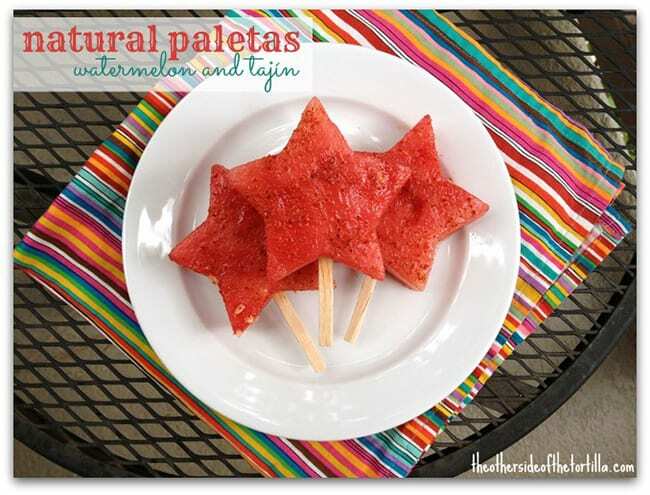 A bonus: Because these natural paletas aren’t like traditional popsicles, they’re much less likely to drip and stain clothing if that’s an issue with your kids. 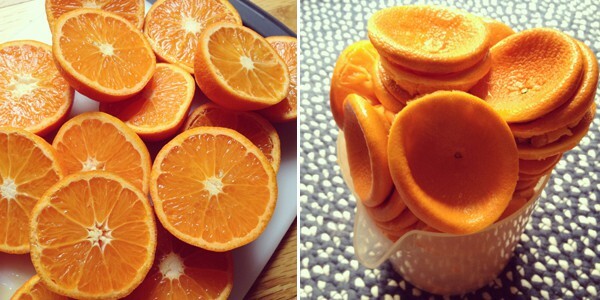 And you don’t need to have kids to enjoy these simple paletas! 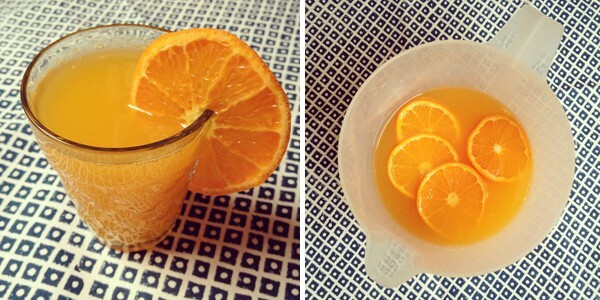 You can honor your inner child or summer cravings for a popsicle with a healthier twist. For those with diet restrictions, these paletas are gluten-free, dairy-free and vegan-friendly. 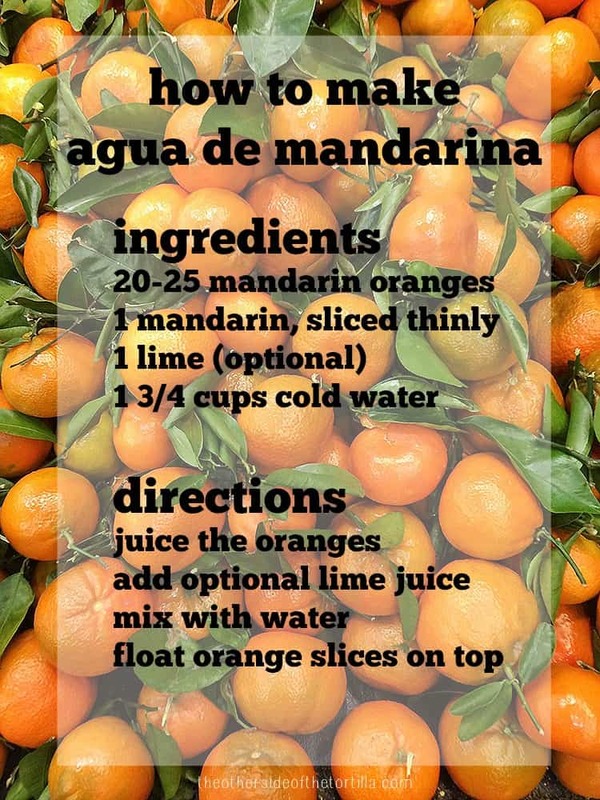 This “recipe” isn’t really a recipe; I like to think of it more as a healthy tip I’m passing on to you. 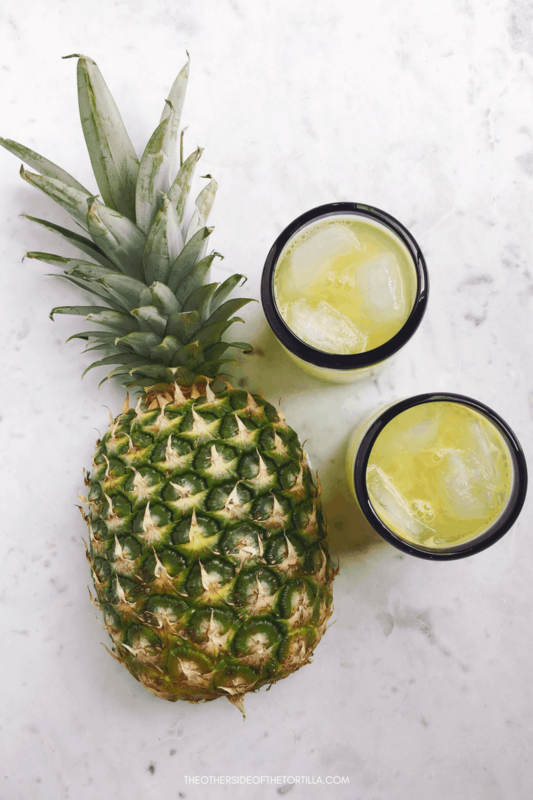 Don’t discard leftover pieces that don’t make the cut: Sprinkle Tajín and squeeze a little lime juice on it for a snack, or cut them into bite-sized pieces and freeze to use as watermelon ice cubes to flavor your water…. It’s that time of year here in Chicago when the supermarkets seem to be overflowing with ripe mangoes. I bought some mango de manila over the weekend (a yellow-skinned variety) and ate it for breakfast with a little squeeze of lime juice. 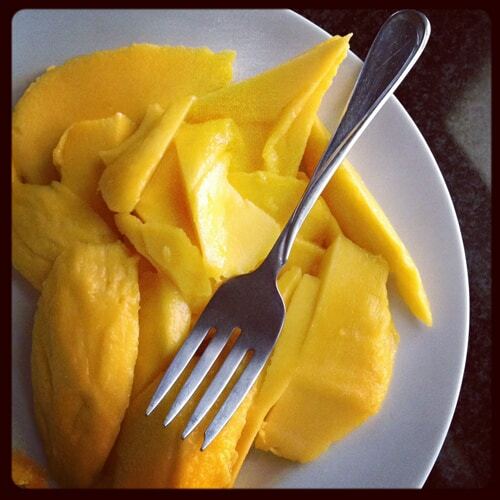 How do you like to incorporate fresh mangoes into your diet? I was doing my weekly shopping trip when I spotted a sign for mamey from the next aisle over. I practically ran to grab one since they’re one of my all-time favorite fruits. 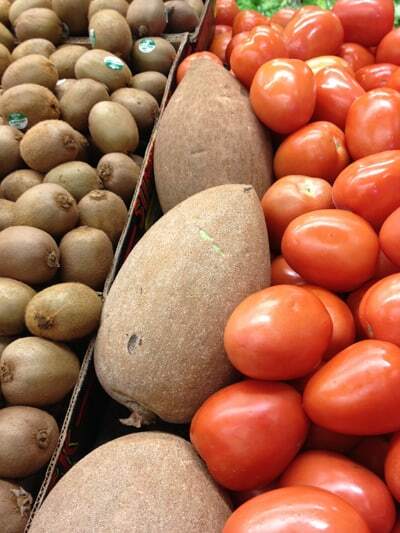 But when I arrived, I realized… these mamey were gargantuan. They were the biggest ones I’ve ever seen… and I’ve seen a lot of mamey! Is it me, or are these freakishly large? The kiwi practically look like chiclets next to them. If you’re not familiar with mamey, they’re a lot like a sweet avocado–a bit thicker, rougher skin, but a similar consistency on the inside. The sweet flesh is pink instead of green. Such a treat. Next time, I’ll be sure to take a photo of the inside to show you. I’m not sure how it’s possible that I haven’t written about mamey here before, but I can’t wait to go buy some more to make batidos de mamey. What do you think? Are these mamey the biggest ones you’ve ever seen? 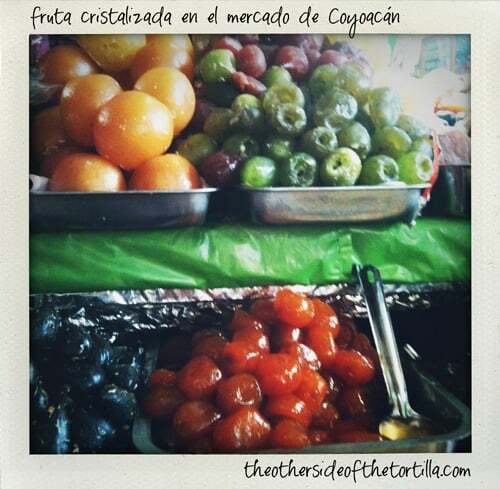 I’ve always been fascinated by frutas cristalizadas (candied fruits). I spotted these in the Mercado de Coyoacán a few weeks ago during my visit to Mexico City. Pictured clockwise from left: naranjas (oranges) that were hollowed out, tunas verdes y rojas (green and red prickly pears), chabacanos (apricots) and higos (figs). My favorite kind is calabaza cristalizada (candied pumpkin), and I brought back a big piece that I don’t plan to share. 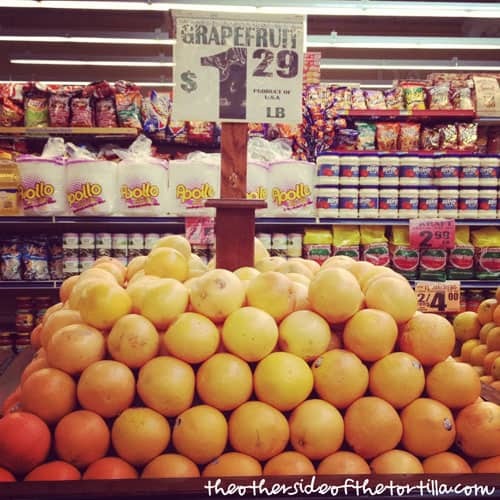 What’s your favorite kind of fruta cristalizada? 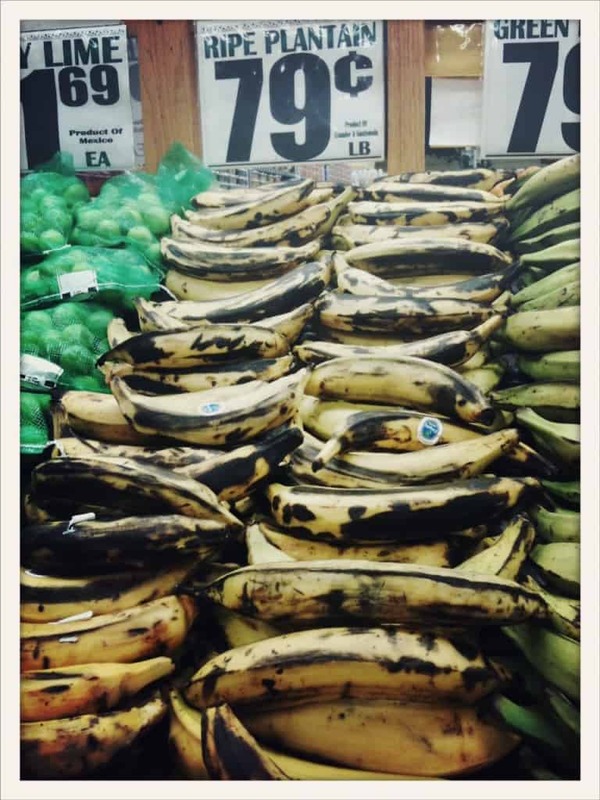 I love plantains, known as plátano macho in Spanish. They look a lot like big fat bananas, but they aren’t quite the same and the peel is much thicker than on a regular banana. You can buy them green or yellow with black spots like the ones pictured above depending on what you’re using them for. My two favorite ways to eat them are plain and fried with a little crema Mexicana or as empanadas rellenos de frijol, which is a recipe that comes from Veracruz (and is a family favorite) that I’ll have to share with you soon. What’s your favorite way to eat plantains? 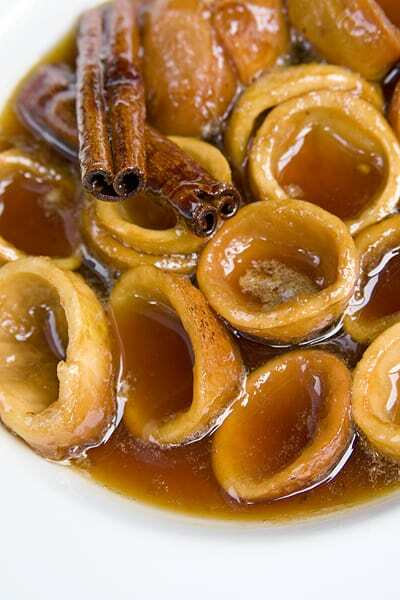 Guayabas en sancocho, also known as guayabas en almíbar, is a delicious dessert of guavas stewed in a cinnamon and piloncillo syrup. I love the smell of ripe Mexican guavas. Their creamy white flesh and tropical fragrance are simply intoxicating. They remind me of this one particular little stall that sells fruits at the Mercado Coyoacán where my mother-in-law likes to shop. Whenever I visit Mexico City, I’m always eager to tag along with my suegra when she needs to grab something from the mercado because I love walking among the vendor stalls discovering new things. 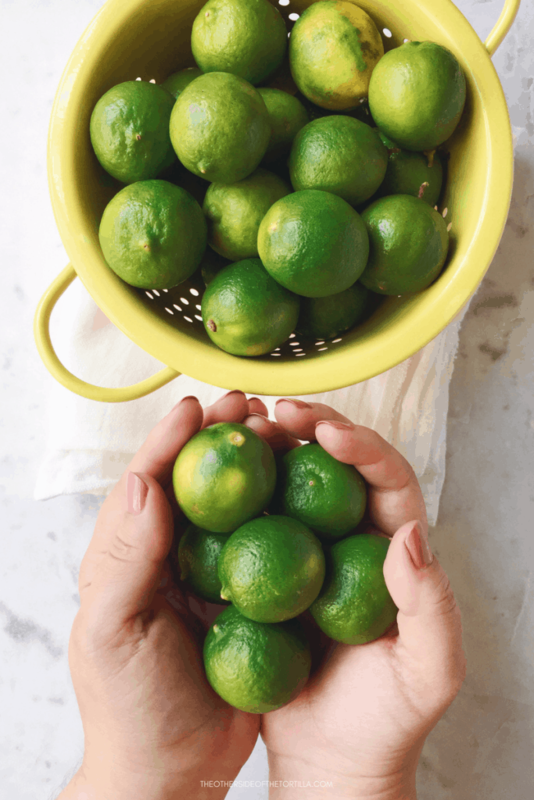 José also likes the smell of guayabas–but for a different reason. You see, as a big brother, José has always dabbled in a serious form of sibling rivalry. My cuñada, on the other hand, can’t stand the smell or taste of guayabas. The smell actually makes her wretch. A few years ago when we were visiting around Christmastime, we bought a big bag of guayabas for making ponche navideño. I’m sure you can guess what happened next.